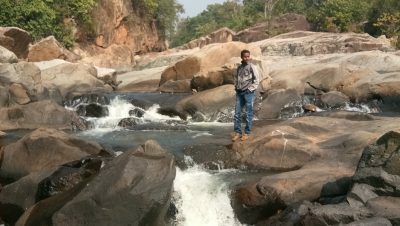 This tourist spot is situated in the Tainsira village, which is a meeting point of 3 districts namely Deogarh, Sundargarh and Angul. It is around 70 Kilometer from District headquarter and 22 kilometer from Thianal Bus Stop on National Highway connecting Pallahara and Deogarh. 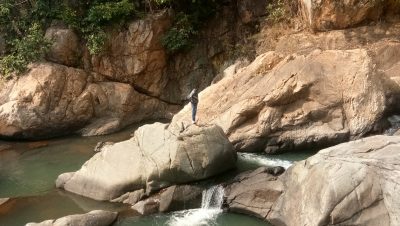 Deep Forests, sky touching blue mountains, murmuring sound of Dargadi Stream attracts thousands of visitors to this place. The water from the stream helps agricultural activities in the village and at low land this stream is known as JOUTUK NALA, which again comes down further to end in river Brahmani. Nearest Aerodrome - Bhubaneswar - 280 K.M. Nearest Railway Station - Rairakhol - 80 K.M. From Deogarh - 55 K.M.